Fleio 0.9.16 alpha is now available to download and install in your OpenStack cloud. Clients are no longer linked directly to an OpenStack project. 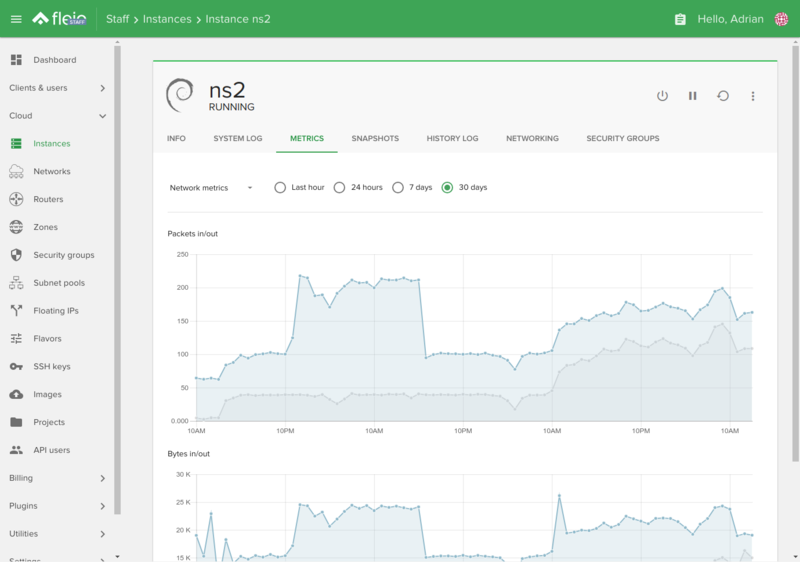 We’ve introduced services which will be the base for any billing activity, allowing us to later introduce other hosting services billing (like cPanel accounts or domain names). 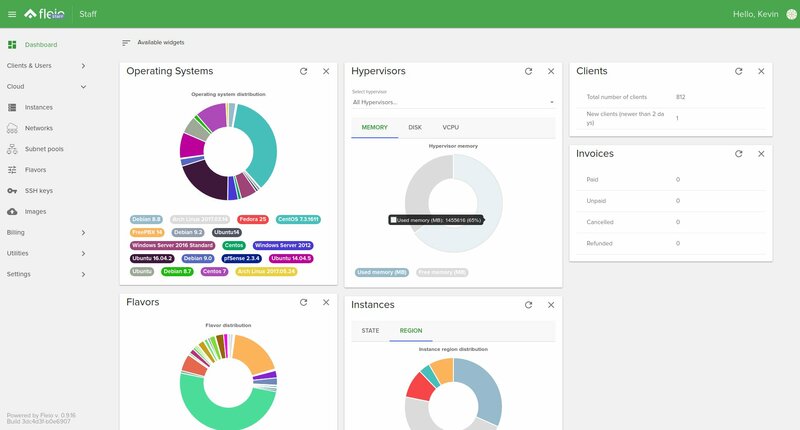 An OpenStack project is now linked to a service. Billing menu option is now available in staff panel where we have Orders, Packages, Invoices and Services. The ordering process is not yet completed and released. Users activity log. We’re currently logging just a few actions, like user logged in, logged out, user changed password, edit profile etc . The following releases will extend the logged actions list. We’ve switched Fleio from using Python 2 to Python 3. This has been in the works for a few months and is now ready for prime time. If you’re upgrading for a previous Fleio version everything is done automatically, except that you will be required to re-enter your trial licensing key. And by the way, email us if you’d like to extend your trial license. Many other small features and bug fixes. See release notes here. 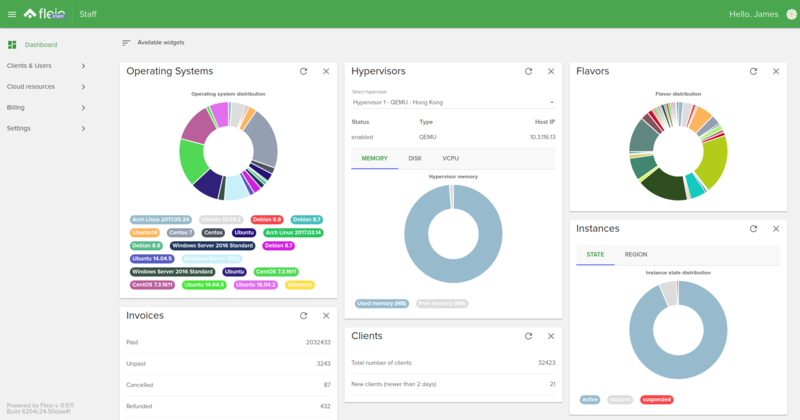 Online demo is available here and you can sign up for a free trial license and install Fleio on your machine. 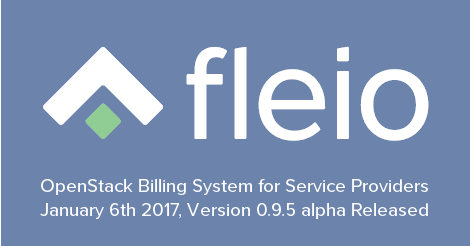 We have just released Fleio version 0.9.9. This is an alpha version and it is not recommended for production use. 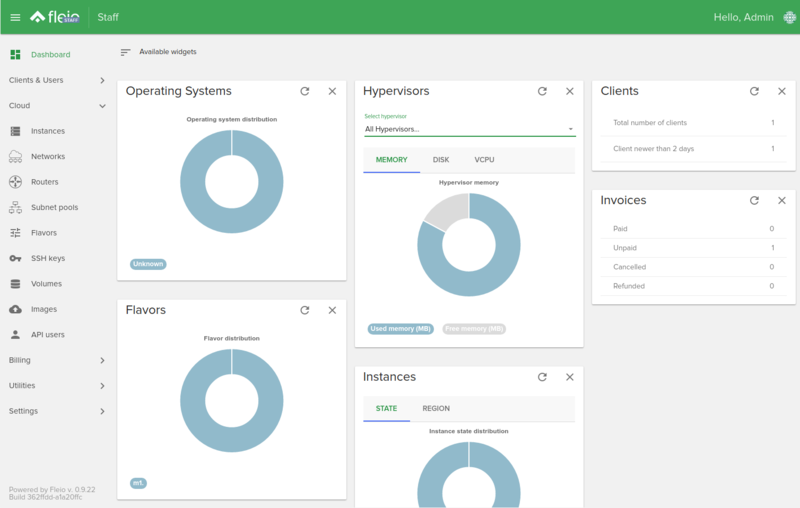 We have a new billing settings model that allows configuring different credit thresholds, notifications and automatic actions for each client or group of clients. 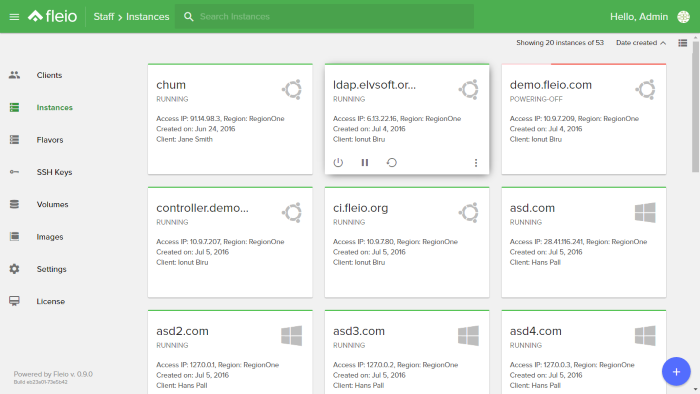 You can now add/change/remove OpenStack instance IP addresses from the staff panel. We have just released Fleio 0.9.7-alpha. Fleio version 0.9.5 alpha is now available to install.